Did you know that you can remove the skin of an egg? Just follow these steps, and you’ll have your very own naked bouncy egg! 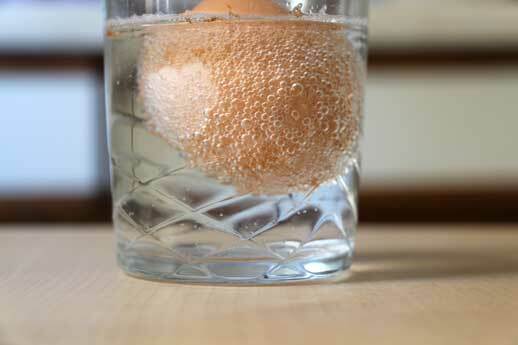 For this experiment, you’ll need 3 items: an egg, vinegar, and an empty glass. Simple! 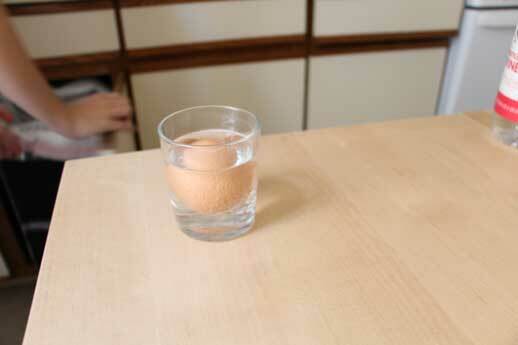 The first step in the naked egg experiment is to take the egg and place it into the empty cup. Then, pour the vinegar so that it just covers the top of the egg. The egg will float in the glass. Now wait! In a few hours you should see bubbles forming along the surface of the egg. This is from a chemical reaction that you’ve caused! The vinegar is a form of acid, which means that it has free hydrogen ions to react with things. The egg shell is made of a material called calcium carbonate, which reacts to form water and carbon dioxide gas. So you’re actually seeing this gas form on the shell. Cool! After about 12 hours time, you should see a bunch of dissolved shell in the liquid. 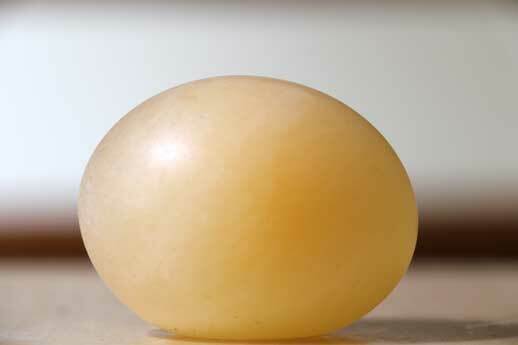 Pour out the vinegar and wash the egg in water. Rub the surface of the shell while washing. Then give the egg a 2nd bath in the vinegar. At this point you should be able to completely remove the shell of the egg. 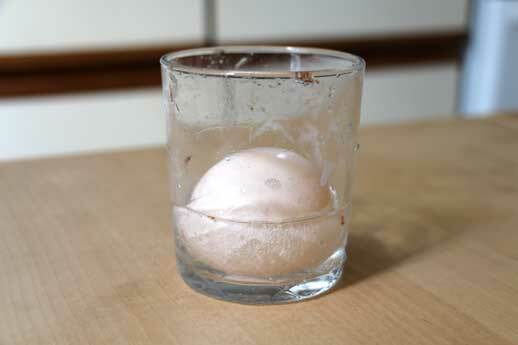 You can try more things beyond this first naked egg experiment. Try putting the egg in corn syrup. What happens? Try putting it in water afterwards (with some food coloring). See if you can get your naked egg to change colors, and post in the comments what happens! Explorabox © 2019. All Rights Reserved.